Can I Block Block My Home Based Business Number? You can legally block your home telephone caller identification from showing; however, you have to initiate the blocking to prevent your personal information from being displayed on someone else's' phone. If you use your work phone (or a home line for business calls) to make sales solicitation calls, it is illegal to block or misrepresent your calling identification information. If you are not using your business line to make sales calls (telemarketing or other forms of solicitations), you can block your business name and number, but still, may not misrepresent it. Blocking does not work when you call emergency phone numbers (fire, police, 911) or when you call toll-free numbers. Because your information is automatically available to be displayed on other caller ID devices, FCC laws require phone companies to give you the option of blocking your information for free. Selective Blocking: Dial *67 before every call you make to block your information from being displayed. You must do this before you make every single call. (On rotary phones, and yes, there are still some out there, you must first dial 1167). Complete Blocking: This option is not allowed in all states, but where it is available, this service will automatically block your calling identification on outbound calls. This feature works in reverse of selective blocking because you have to dial *82 before making each outbound call if you do want your information to show. Complete blocking is recommended for most situations because you never have to remember to dial a blocking code before making each outbound phone call. This is especially important if you already pay for an unlisted phone number. Unless you block your caller ID, even with an unlisted phone number, your information will still automatically be transmitted to anyone else with caller ID. You Value Your Privacy: Your privacy is important to you for any reason, especially if you need to protect your identity for reasons of safety or to avoid harassment of any kind. 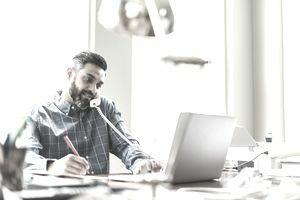 Your Home Phone Doubles as a Business Line: You use your home phone number as a business number, or even just make occasional calls from a home line to customers or clients, and you do not want them to have access to your home phone. You Do Volunteer Work: You use your home phone to make calls as a volunteer on behalf of an organization. You Want to Remain Anonymous: You make calls to report crimes, or “blow the whistle” on a company and wish to remain anonymous. Or, you call hotlines, businesses, or other phone numbers and do not want the person or place you are calling to know who you are or capture your phone information. Remember, call blocking will not work when you are calling emergency and toll-free numbers. Another benefit of choosing Complete Blocking over Selective Blocking is that anyone who places a call from your home will not inadvertently transmit your phone information to someone else. This includes friends and family, guests, and babysitters, who might make calls from your phone line.